Mechanicsville is located in Hanover County in Virginia. This small town is home to about 40,000 residents and offers visitors a variety of fun activities throughout the year. From historic homes to hiking trails and lovely parks, Mechanicsville makes it simple to enjoy your time in Virginia. Garden Gate Antiques and Richmond Archery Tag also add a little fun to the day in Mechanicsville. This Virginia town is also the perfect place to be when a dental emergency strikes. A variety of dental offices offer emergency services at almost every hour of the day. The Emergencydentistsusa.com website makes it very easy to select a great dentist without the hassle of wandering through a new city. Our website offers a large listing of Mechanicsville emergency dentists who are standing by to get you out of that pain quickly. Scroll through the comprehensive listing and click on the dental office that has the services that you need. The Emergencydentistsusa.com website also provides dental office hours, services offered, insurances accepted, and driving directions for your convenience. When you need a little extra help finding a new dentist in Mechanicsville, try our dentist finder hotline. We will connect you with a caring agent who is standing by to help you select a dentist, set up your first appointment, and even to give you driving directions. Remember to bring your photo ID and dental insurance card with you to see your new dentist. Arrive at least 10 minutes early for that first appointment so that you can fill out the new patient paperwork. Mechanicsville is a lovely town in Virginia with gorgeous historic homes. This town is also a great place to be when a dental emergency strikes. Scroll down to see some of our top Mechanicsville emergency dentists below. Description: With same day appointments and fast emergency service, Lee Family Dentistry is a great choice for the entire family. Restorative dental care and cosmetic dentistry are both available at this full-service dental clinic. Dr. Lee also offers dentures, partial bridges, and implant services. 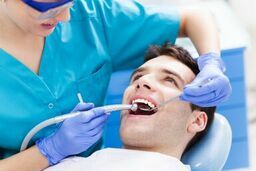 Description: With the latest dental technology and a focus on friendly patient care, Boyle Dentistry provides the best in dental care. Restorative services, cosmetic procedures, and even relaxation care are available in Boyle Dentistry’s full service office. Convenient office hours make it simple to get your visit finished quickly. Description: Located conveniently in the Creighton Crossing Shopping Center, Virginia Family Dentistry Mechanicsville is a great choice for the entire family. Offering sedation, dental implants, tooth extractions, and emergency services, this dental clinic provides all of the services required for a healthy smile. Office hours are designed to make it simple to get in and get out when you have a dental problem. Tooth pain can definitely ruin any travel adventure. When your tooth pain lasts for more than one to two hours, make an appointment with your Mechanicsville emergency dentist as soon as possible. If the dental problem began with an accident like a fall or a sports injury, visit the nearest hospital emergency room or urgent care center to ensure that your injuries are not life threatening. Visit your dentist following your medical checkup so that you can get those teeth treated quickly. The Virginia Dental Association website provides you with current licensing and credentials for each dentist in the state of Virginia. This information is important since you only want to choose a dentist who is properly licensed for the state where you are located. Log onto the website and enter your dentist’s name into the search box to view licensing documents online. You can also see this information when you visit the dental office itself. Most dentists provide these documents for patients to view when they arrive for their first appointment.